Global Maritime VSAT Market 2018 by Manufacturers, Regions, Type and Application, Forecast to 2023 | Market Research Reports® Inc. Global Maritime VSAT Market 2018 by Manufacturers, Regions, Type and Application, Forecast to 2023 report is published on January 10, 2019 and has 115 pages in it. 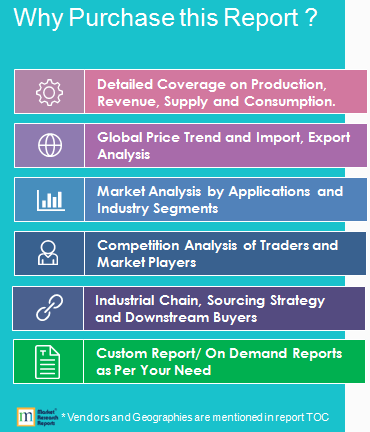 This market research report provides information about Maritime, Transport industry. It covers Global regional market data and forecasts. It is priced starting at USD 3,480.00 for Single User License (PDF) which allows one person to use this report. The Self-Propelled Ships, New Construction South America Report & Database gives Market Consumption / Products / Services for 13 countries by each Product by 3 Time series: From 1997- 2019 and Forecasts 2020- 2027 & 2027-2046.